The travel takes about 1 hour. 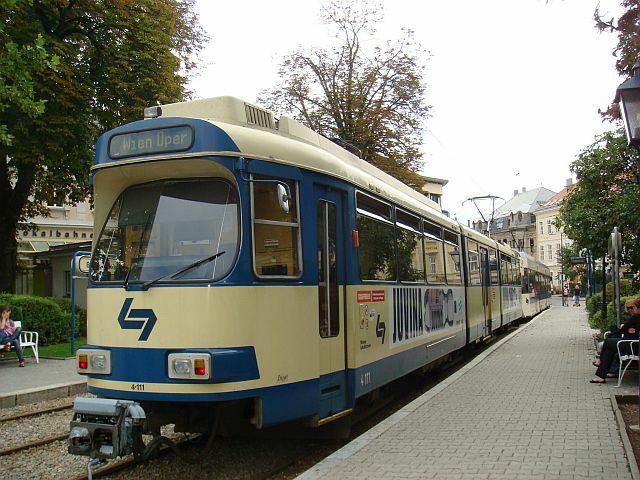 The big advantage of the Badner Bahn tramway is the direct connection from the city center of Vienna to the town center of Baden. The Badner Bahn drives several times per hour. One ticket at regular price costs 5,50 Euro per direction. The travel time from terminus Wien Oper to the terminus Baden Josefsplatz is approximately 1 hour. Tip:You can find the railroad track and the locations of the different stations at the Interactive Map. Just choose at the map "Public Traffic".